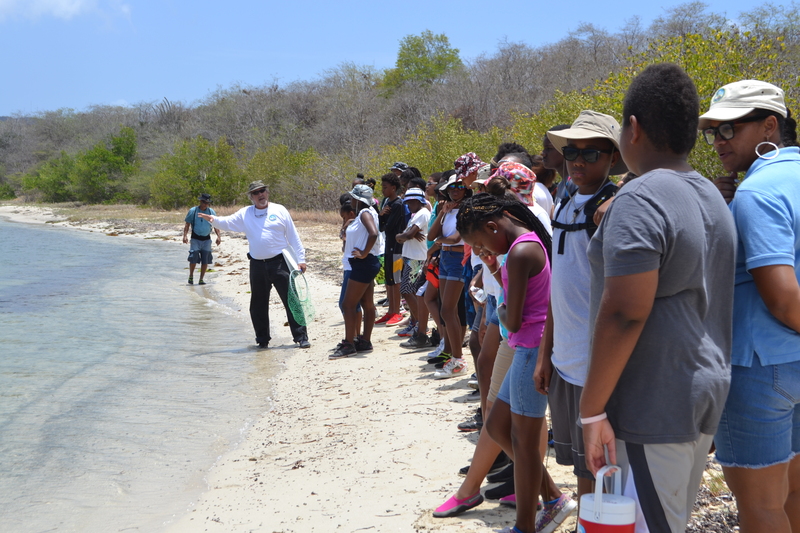 We had a great time this summer with the 2015 Coral Reef Initiative internship participants! This summer 14 interns held various positions with CNMI Division of Fish & Wildlife (DFW), CNMI Bureau of Environmental and Coastal Quality’s (BECQ) Division of Coastal Resources Management (DCRM), Micronesia Islands Nature Alliance (MINA), CNMI Department of Lands and Natural Resources (DLNR), and the National Oceanic and Atmospheric Administration (NOAA) learning about the various ways our government and partners work to protect CNMI’s precious natural resources. Check out this fun video of the Coral Reef Initiative (CRI) intern cohort (and CNMI Micronesia Challenge Young Champion, Carey Demapan) during a field trip to the Managaha Marine Conservation Area! How many of these bright young CNMI stars do you know or recognize? The video was compiled and edited by CRI intern Romana Chong. Original song written and performed by Nikkie Ayuyu. Delfin Camacho – Worked with DCRM Enforcement, monitoring enforcement and compliance of permitted projects and marine sports activities. Miso Sablan and Andrew Johnson – Conducted reef flat surveys looking for signs of coral disease with the CNMI Marine Monitoring Team based at BECQ. Nikkie Ayuyu and Anathalia David – Conducted marine debris education outreach and research, with MINA, a key partner NGO. Erick Dela Rosa and Max Garcia – Worked with the DLNR Sea Turtle team conducting nest surveys and monitoring as well as in-water live capture and tagging of sea turtles. Kallie O’Conner, Jacklyn Garote, Romana Chong – Designed and assisted in implementation of various Marine Protected Areas (MPA) education and outreach strategies, with the MPA Coordinator based at DFW. Austin Piteg and Mary Fem Urena – Worked with the CNMI NOAA field office staff conducting water quality and seagrass monitoring along the length of the Saipan lagoon. Eric Cepeda and Ian Iriarte – Worked with DFW fisheries department on various fishery biology and tourist – interaction projects. 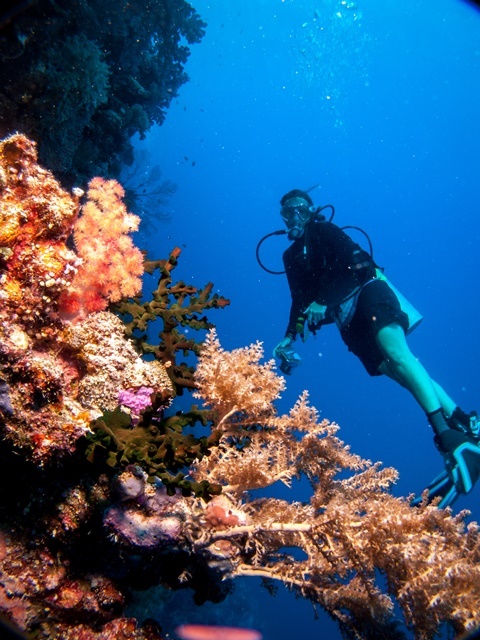 Over the last several months, the jurisdictions and islands have faced extraordinary events that have impacted coral reefs and strained both resources and capacity. CNMI continues to recover from Typhoon Soudelor, which hit in early August leaving Saipan without electricity or water for nearly three months in some areas. The jurisdictions have seen coral bleaching on reefs just barely recovering from last year’s bleaching event. Reports of bleaching from all across the Main Hawaiian Islands came in as early as September, as a result of water temperatures up to 91 degrees F. Florida is dealing with an unprecedented coral disease outbreak – the largest ever seen on the Florida Reef Tract. 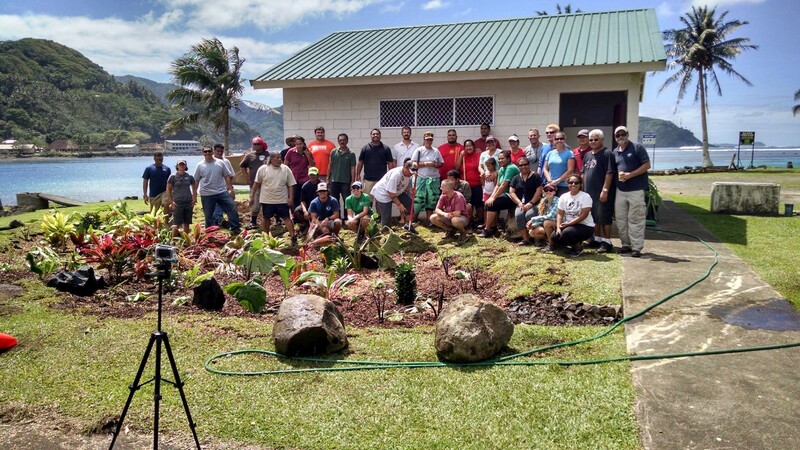 The first rain garden in American Samoa installed in Faga’alu. Multiple communities were trained and funding has been identified to expand this practice to other watersheds. 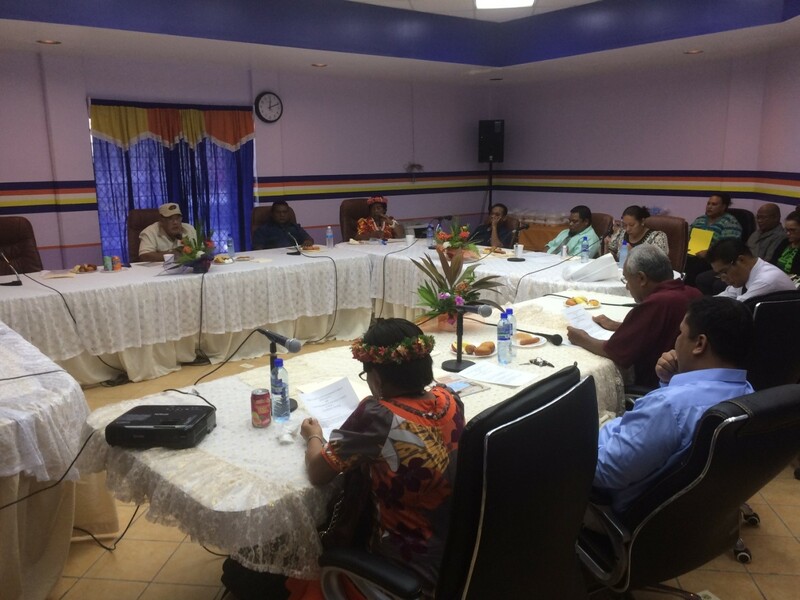 In CNMI, at a Garapan Conservation Action Planning Meeting, participants discussed strategies to improve conservation in this priority watershed. 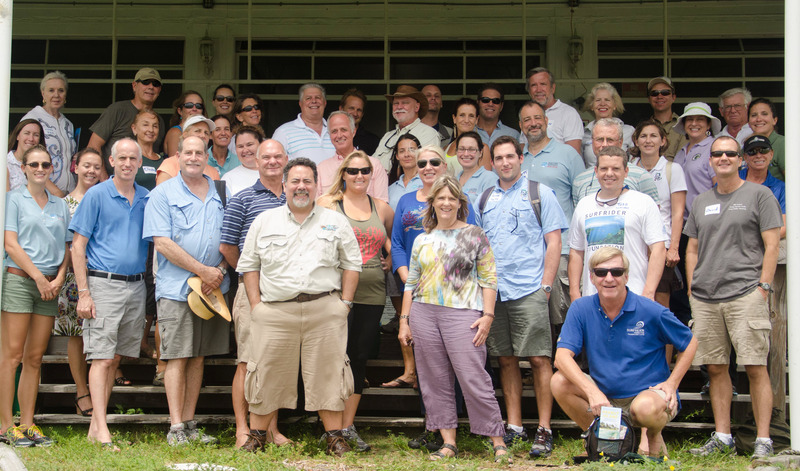 Our Florida Reefs: River to Reefs waterways tour brought together community members and elected officials to highlight the importance of protecting healthy estuaries to ensure healthy coral reefs. 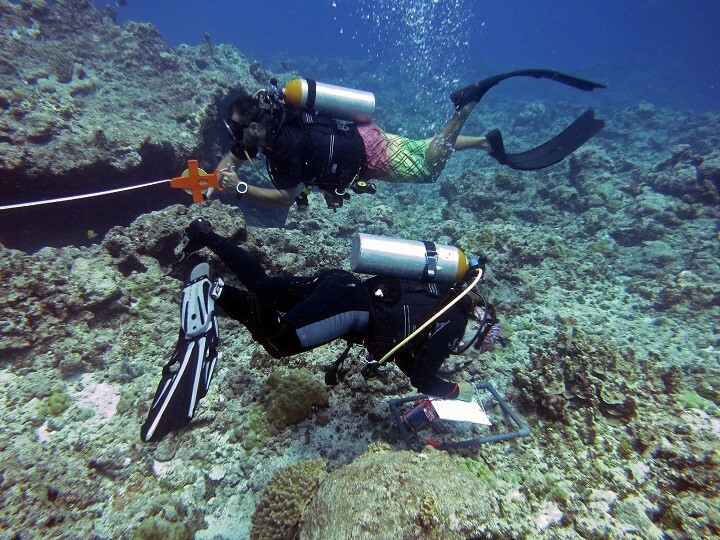 The draft Guam Reef Resilience strategy, detailing Guam’s response to specific coral reef threats and suggested implementation strategies, is scheduled to be completed by December 2015. 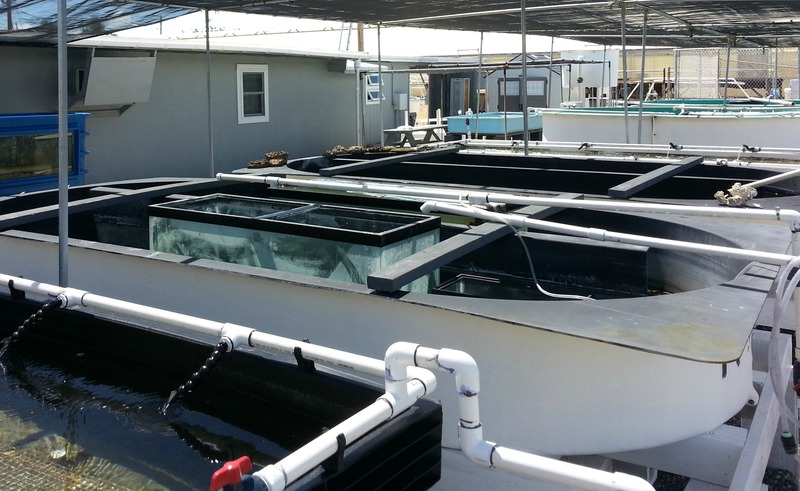 Hawai’i demonstrated success in urchin hatchery and coral nursery operations for mitigation. The state is also working toward establishing the first coral mitigation bank in the United States. 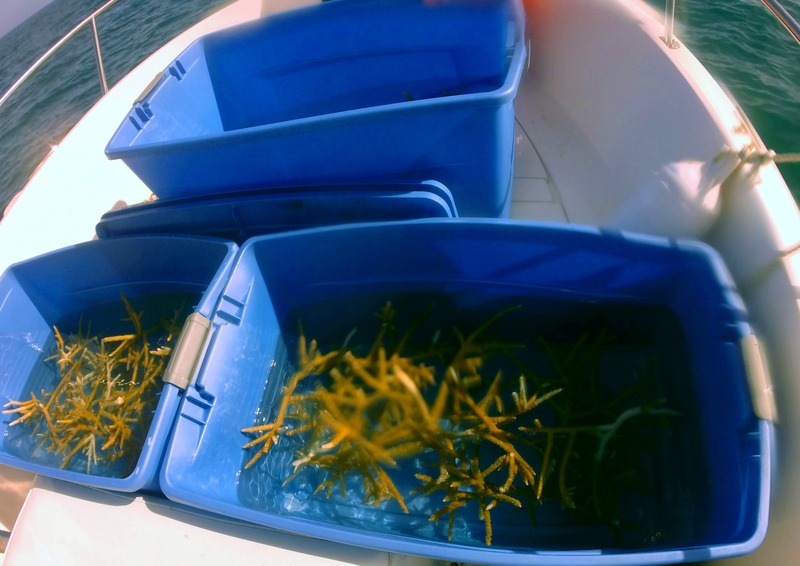 Work was done, including volunteers, in Puerto Rico’s coral priority area, Cabo Rojo, with Acropora palmata and A. cervicornis, threatened coral species. A new Visitor’s Center was created at the St. Croix East End Marine Park in the U.S. Virgin Islands to help highlight the value of coral reef ecosystems. 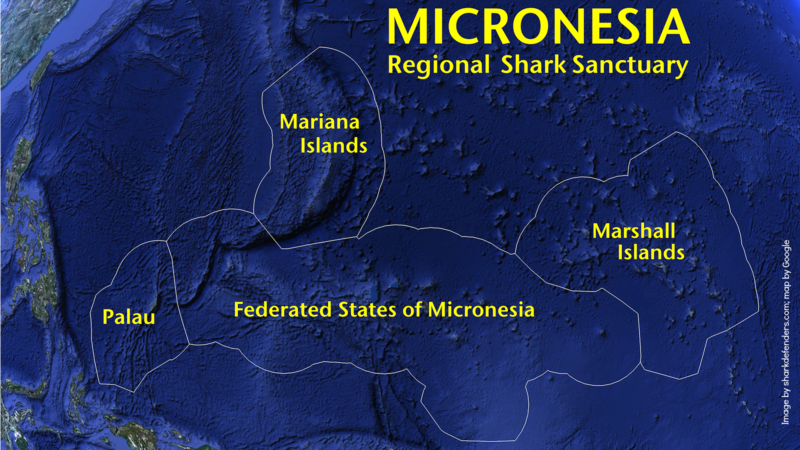 In the Federated States of Micronesia, a cooperative effort helped pass the landmark “Shark Bill”, which covers the nearly 3 million square miles of EEZ. The Marshall Islands are working set forth new temporary regulations regarding fishing closures, fishing techniques, fish sales, and fish sizes in order to protect herbivores in anticipation of a bleaching event. 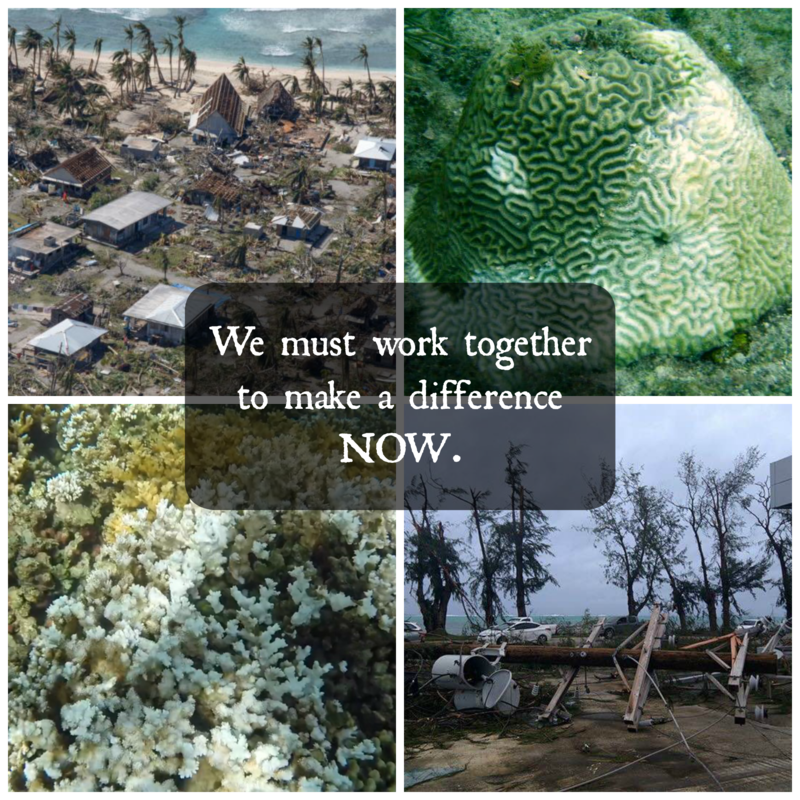 The Palau International Coral Reef Center is studying the impacts of two super-typhoons on Palau coral reefs and will quantify their recovery potential and offer adapted management strategies to policymakers. Awesome work managing and conserving our coral reefs occurs every day in the jurisdictions and FAS. We must continue to work together towards a better future for our coral reef ecosystems. For more information, download our AIC Chair’s Report, presented to the U.S. Coral Reef Task Force at their 34th meeting, October 26-30, 2015.